First of 3 dolls being “Steampunked” for BJDcollectasy. This first project shows an older 1/4 size Dream of Child Yen doll being refurbished and costumed in Steampunk style. The article/video can be seen HERE. The new Dream of Teen girls have finally been introduced on the Dream of Doll website. 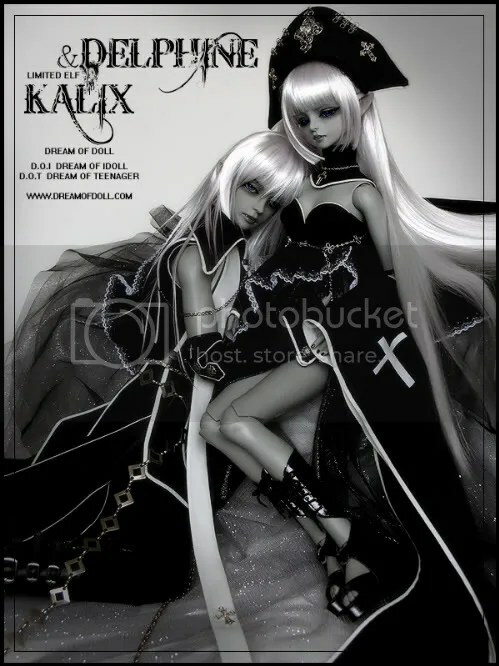 Calla and Isis are both sold as basic dolls with the wigs shown in the photos and random eyes. Dolls ordered between now and July 30 will receive free high heel parts. The doll comes with a choice of girl body or the new body which costs slightly more. Options include outfit, tattoo, face-up, and manicure. The face-up is ordered in a separate make-up section on the website. 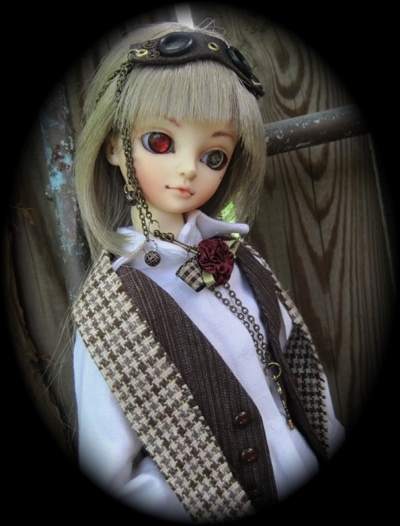 Check out more BJD News HERE. Dream of Doll is now offering their free face-up event until June 10. Dolls purchased during the event can have a free face-up. Only one free face-up per order (multiple doll purchases get only 1 doll with free face-up) and the payment must be completed by June 10 Korean time to be eligible. Dream of Doll is now offering their popular 64 cm. Dream of Teen dolls with a choice of bodies, their standard body ,or a more elaborately jointed new body. The new body has double jointing and an additional thigh joint. The girl body has been posted on the site for a while, but the new version boy body has now been added to the website. A doll with the new verion body will cost slightly more than the standard body. The three Event Dolls have been posted on the Dream of Doll website in advance of the start of their December 10th sale. The new doll for sale is a DOI Black Elf Sha tanned skin doll. The second placeholder on the site was for the Free Event Head which is a DOI Tender Elf Sha normal skin. The final doll pictured is the prize doll. Three lucky customers who order the new Black Sha will win this complete doll. He is a tender Black Elf Sha. More information is available on the website. (The payment has to be done within Jan. 5 per one order. 3) Wigs and dresses will be sold at a reduced price in the EVENT category. Dream of Doll Releasing New Limited? Dream of Doll has posted a teaser image on the site under the Limited section. No other information is included on the site other than COMING SOON. 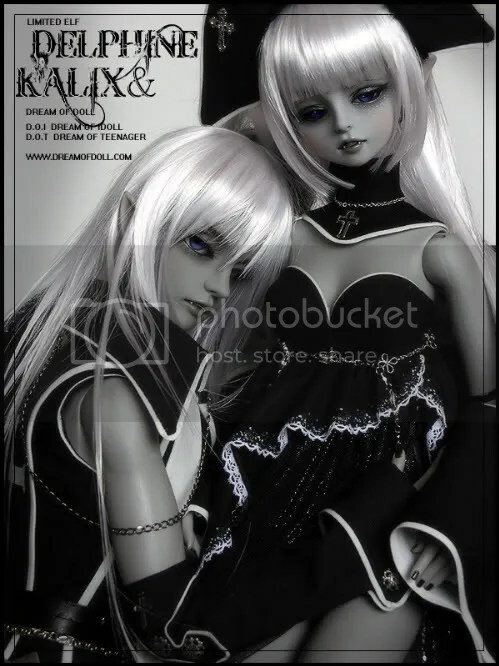 Dream of Doll will be ending the order period for their vampire limited dolls Kalix and Delphine on September 30th at 12 AM Korean time. Anyone wishing to order these dolls should do so ASAP. *note: Payment must be made within 10 days of ordering. If using credit card, card info and ID are needed to complete the order. If payment isn’t made be the specified period, the order will be cancelled. 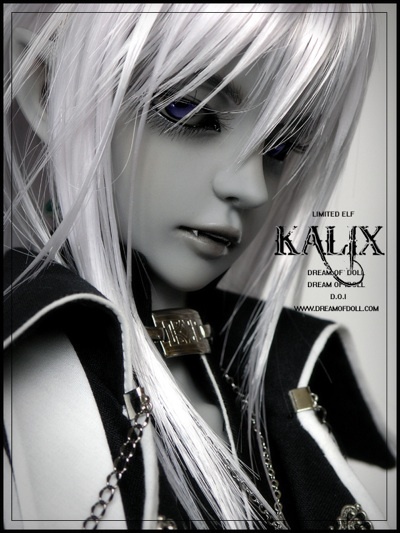 The dolls are currently on sale and are priced at $680 for Kalix and and $645 for Delphine. Orders will be taken until September 30. See Dream of Doll’s website for details. They are vampires with “elf ears”. Color choices for the resin include white, normal, and a new color- GREY. According to information on the site, the grey color has similar problems as” tan” dolls made in resin. The color is on the surface of the doll so the seams can’t be sanded and the color on the body can have some marbling. Kalix is a DOI which is a 70 cm. tall doll. Delphine is a DOT which is a 60 cm. tall doll. Costumes are optional. As of this date, the price isn’t listed.